^ Drury 2002, p. 7. ^ Drury 2011, p. 308. ^ Nicholas Goodrick-Clarke. The Western Esoteric Tradition - A Historical Introduction. pp. 193-195. ^ 稲生 2013, p. 168. ^ ゲティングズ, 松田訳 1993, p. 237. ^ Greer 2003, p. 10. ^ a b ローザク, 志村訳 1978. ^ a b ゲティングズ, 松田訳 1993, pp. 15-16. ^ a b c d Hammer & Rothstein 2013. ^ a b McKusick 1982. ^ シュタイナー, 高橋訳 1998, p. 146. ^ 大田 2013, p. 115. ^ a b 日蓮宗現代宗教研究所 報第30号 「ニューサイエンスとパラダイムシフト 現代の宗教動向の背景にあるもの 松井教一」 Archived 2015年12月27日, at the Wayback Machine. ^ Olcott 1881, pt. II, n. 11. ^ Sinnett 1884, p. 127. ^ a b c d 吉永・松田 196, p. 212. ^ a b c d e f g h i j k l m n o p 大田 2013. 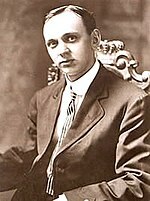 Edgar Cayce, Edgar Cayce Readings DVD-Rom, Edgar Cayce's A.R.E, Inc.
Greer, John Micheal (2003). The New Encyclopedia of the Occult. Llewellyn Publication. Drury, Nevill (2011). Stealing Fire from Heaven: The Rise of Modern Western Magic. New York: Oxford University Press. ISBN 978-0199751006. Drury, Nevill (2002). The Dictionary of the Esoteric. London: Watkins Publishing. 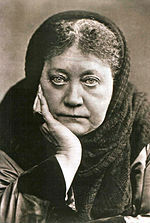 Sinnett, Alfred Percy (1884). Esoteric Buddhism (5th ed.). Houghton Mifflin. http://books.google.com/books?id=A_4LAAAAIAAJ&printsec=frontcover&pg=PA127&dq=akasa&hl=en. Brandt, Katharina; Hammer, Olav (2013). 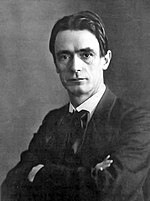 “Rudolf Steiner and Theosophy”. In Hammer, Olav; Rothstein, Mikael. 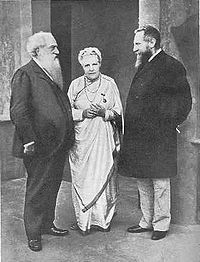 Handbook of the Theosophical Current. Leiden, NL; Boston: Brill. pp. 122-3. ISBN 9789004235960. McKusick, Marshall (1982). “Psychic Archaeology: Theory, Method, and Mythology”. Journal of Field Archaeology 9 (1): 112. doi:10.2307/529534. http://www.jstor.org/stable/529534?origin=JSTOR-pdf.